If police contact has resulted in you or a family member’s arrest, you need to know your rights. Our Dutchess County criminal lawyers have the skills, experience and judgment needed to help you. Call now for a free consultation. The Fourth Amendment of the Constitution protects your right against unreasonable searches & seizures. The most protected place under the Fourth Amendment is your home. A police officer cannot enter your home unless he has a warrant. There are exceptions to this warrant rule, the most used exception is “consent”. “Consent” is when you open the door. So, if a police officer is knocking on your door and you did not call the police, exercise your Constitutional right and do not open the door. Call me. The Fourth Amendment of the Constitution protects you in your home. If the police ask you to step outside and talk that is not your home! Unless the police have a warrant you do not have to let them in and you do not have to step outside. If you leave the home you may be leaving the shelter of the Fourth Amendment. You can say “no” and you can tell them “I’m calling my lawyers Mackay and Berube.” Know your rights and more importantly use your rights. The law firm of Kevin MacKay & Richard Berube have built a reputation for integrity and skill in successfully representing individuals against prosecutions in Hudson Valley criminal matters. We have been successful in representing local Poughkeepsie clients at the investigative stage, discovery stage, motion practice stage, pre-trial hearing stage, and of course at trial. This article is made for better understanding DUI and DWI in the New York State. If you are facing those charges you can better understand them before contacting Lawyers For DWI or DUI. A DWI refers to when a driver is intoxicated; that is, when his or her blood alcohol content level (BAC) is at the legal limit (0.08 percent) or higher. A DUI generally refers to a driver who is “buzzed” (has a BAC lower than 0.08 percent), intoxicated, or under the influence of drugs. Alcohol reduces reaction time, reduces your ability to see clearly, changes your judgment of speed and distances, often makes you less inhibited and makes you more prone to take chances. Drugs, which include many prescription and over-the-counter medications, can affect your ability to drive. They can have effects similar to alcohol or even worse. If you take medication, even a remedy for colds or allergies that is not prescribed, check the label for warnings about its effects. If you are unsure, ask your doctor or pharmacist about driving while on the medication. 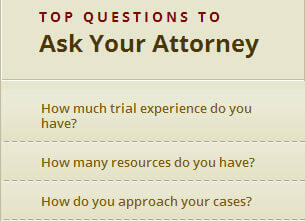 Contact Lawyers at MacKay & Berube Law online or call 845-432-5599. Our firm also represents students at Vassar College, The Culinary Institute of America, and Marist students who are facing DWI charges. There are always new developments in Poughkeepsie criminal defense law. It is important to choose a Dutchess county criminal lawyer that understands your situation. One current issue is the New York State Senate passed “Laree’s Law”, which makes any person guilty of a homicide that unlawfully transports or sells opiates that causes the death of another person. This law will effect Dutchess county and Poughkeepsie criminal lawyers clients. If you or a family member are accused of a crime in Poughkeepsie or Dutchess county this law sounds like our government is out to help the current heroin epidemic that there is in Dutchess County, NY. However, this law will do very little, if anything, to stem the tide of opiates consumed in Poughkeepsie, NY. The Senate tells us in their justification for the law that “This law would hold drug dealers accountable for the true cost of their activities, significantly diminish the open availability of these dangerous drugs on our streets and give district attorneys the necessary tools to work up the criminal chain to the ultimate supplier because facing life imprisonment for any amount of drugs that results in death is a profound disincentive to sell drugs within the state of New York.” There will be zero deterrent effect to dealers of opiates in NY due to this law. The government should conduct a study on what laws really are deterrents, because this one will not be a deterrent. The government does not think like a drug dealer. Drugs are a huge underground economy where jail time is just a part of the overhead of doing business, and for some dealers, it is the only source of income and a way to support their own drug use. This is just a bill for our legislators to point to when reelection time comes around, and so they have another reason to pat each other on the back and tell each other what a great job they are doing for the citizens and residents of Poughkeepsie, Dutchess County, New York. It’s about time for our legislature to address opiate use as a medical issue instead of a criminal issue. The drug laws have filled our prisons, made criminals of addicts, and done nothing to stem the availability and consumption of drugs. Final thought: If I get into my car after drinking to a blood alcohol content of .15 and drive over a person in the crosswalk causing their death, I would be guilty of Vehicular manslaughter in the second degree and subject to a maximum of 7 years incarceration. If I drive up to Buffalo to see some old college buddies and give them some of my oxys that were prescribed to me after my hip replacement, and they give them to another person who overdoses and dies taking them, I would be subject to a maximum of Life in prison. When choosing a Poughkeepsie Criminal Lawyer or Dutchess County criminal defense lawyer please make sure you ask detailed questions of your lawyer. If you or a family member needs a criminal defense lawyer please call Richard Berube to set up a free consultation. Poughkeepsie criminal law is very complex involving a multiple of factors unique to the ever changing Poughkeepsie criminal laws. When to contact a Dutchess Criminal Lawyer?! It is not just a question of trust! We are all taught to trust the police, and rightly so they are assigned to protect us everyday. Naturally you would feel safe if the police come to your home to question you regarding an alleged criminal event. Having handled criminal cases as both a prosecuter and criminal DA, from murder trials to petit larceny, I always advise my clients that it is never appropriate to speak with the police without your attorney. In almost all cases the police have already assumed that you have committed the crime. How the questions are asked, the length of the questioning, and the environment you find yourself in can all lead to misleading or false confessions. The news is rife with people who have confessed to crimes only to later be found innocent after many years in prison. We are all presumed innocent. We all have the right to an attorney. You should protect your rights and call me, Richard Berube from MacKay and Berube Law, a Poughkeepsie Criminal Lawyer serving the Dutchess County Area !